Epiphone has reintroduced the Tobias Toby, now in a Standard IV and Deluxe IV models. The entry level instruments are built around master luthier Michael Tobias’ original designs from 20 years ago. 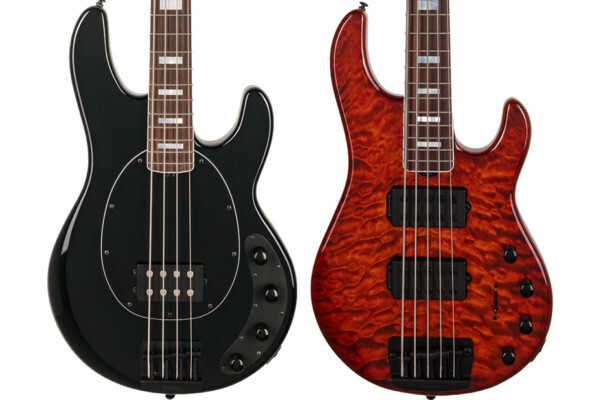 Both basses feature bolt-on construction with a basswood body and hard maple neck. The neck is shaped using Tobias’ Asymmetrical Neck Profile, which makes it thinner on the lower side than the upper side, resulting in a thin feeling neck while retaining strength. Each bass also has a rosewood fingerboard, die-cast tuners and fully-adjustable bridges. The Deluxe version steps things in the electronics department, utilizing a Tobias SCR and SCT single coil pickups instead of the company’s TRB and TRT. It also includes an active circuit called the Tonexpressor for bass enhancement. The Tobias Toby Standard IV and Deluxe IV are expected to ship in early December, priced around $199 and $249 respectively. Hopefully they don’t sound like the last version… I had a neck through version with really NICE woods bout it for around for about $600. It sounded so bad I sold it in about a month. If I would have gutted it maybe things would be different but… WOW was it BAD. For two seconds I was really excited. Then I read entry-level Epiphone. The body shape, headstock shape, colours, asymmetrical neck, even price, all remind me of the recent Kramer D-1 (Disciple) bass, only it has an EMG MM-style pickup and mahogany body and ebony fretboard. But, maybe it was inspired by the original Toby? Its inspired by Mikes original line he sold off to Gibson, that then attempted to introduce a budget line to the public via the Toby/Toby pro. Some were not bad, but the electronics were the weakest part. Id buy one if they made a 5 string and replace electronics. But, I have plenty MTD stuff. As for the Kramer D-1 reference they dont look anything alike and the Tobias shape has been around a very long time. well I think the design is pretty unique… I don’t know about the sound and the quality, but I’m sure they could launch a high-q version of these. there has been high quality versions of these since the mid 80s and when gibson bought Tobias guitars from Mike in 1990 they have been building the hand made line since. not as goos as Mikes original or his MTD stuff, but good. 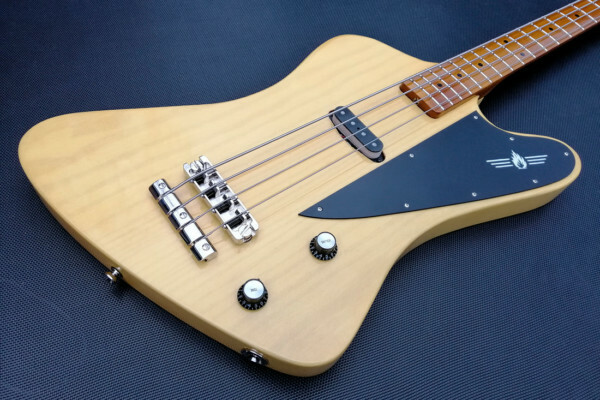 this looks so good on paper… but I don’t know if I honestly trust epihpone to produce a good quality Asymmetrical-neck bass. well I see what I’m puttin on my christmas list haha. They look like repackaged musicyo Tobys, with the exception that they have the truss rod adjustment at the heal of the neck, and they have different electronics. The former makes the necks look just like the Gibson made Tobias Growlers and Renegades. The pickups…well just about anything would be an improvement over the preamp that was in the early musicyo Tobias. Another thing I would do is get rid of the really cheap bridge. 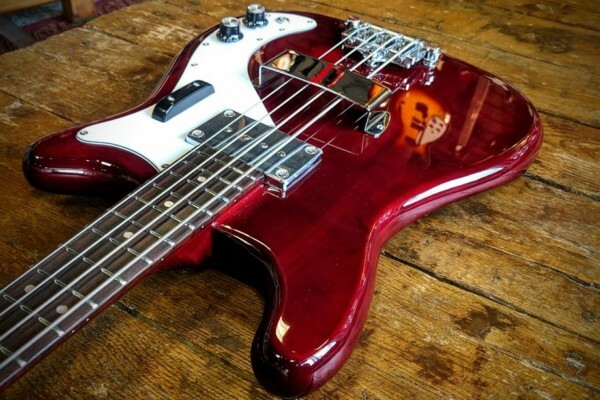 The high mass bridge on the Squier Jazz Active Deluxe is far superior IMO, and it is on a low budget bass, including the wide spaced 5 string. Or they can take another step up and use the bridge that is on the Brubaker Brute, which one can purchase a five string version online for all of $31, or a few dollars cheaper then a new Squier bridge. And while Gibson/Epi replaces the bridge, introduce a 5 string version with 3/4″ or 19mm spacing. Fender has set the bar for budget basses with the Squier line, as far as I am concerned. I don’t know another 5 string that cost so little yet has wide spacing and actually sounds prety good other than the Squier Jazz Active Deluxe. My two cents…now I will shut up. Its a good bass I cant fault it build wise. Ive been a bass player for 49 years and owned expensive basses. The sound is in your fingers guys. Put some Dimarzios in it if your not satisfied, I quite like the sound as it is. For the price you cant fault it. I have both, Standard and Deluxe bought from Long & McQuade Store in Calgary. These are good for the price wise. I like the Deluxe version anyhow. but I still like the Standard as well. I agreed with Steve Glazer here, I replaced the bridges on both Basses. Not only that I replace the nuts as well to bones instead of those plastic. Upgraded PUs on the Deluxe. Once I have a bit of extra money, I would really like to replace the PUs on the Standard. I just finished converting the Standard one to a Fretless one. It sounds very nice though. My point is that both are good Basses for beginners or players .. nothing is wrong with the price. As long as you have time replacing PUs or/and its bridge, they are good. Oh.. for your information, I have Gibson both Explorer and Thunderbird basses too, So I have compared them wisely using Genz Benz GBE 400 Bass Amp. … And .. no .. I am not a good player .. far from being perfect. I am still learning basses for the last 20 years.